​For my final piece I intend to create an image/object based on the theme ______________. This theme will communicate __________. In order to create my final piece I will need to compose four different ideas. All of your sketchbook work leads up to your final piece that will be completed in over 10 hours. 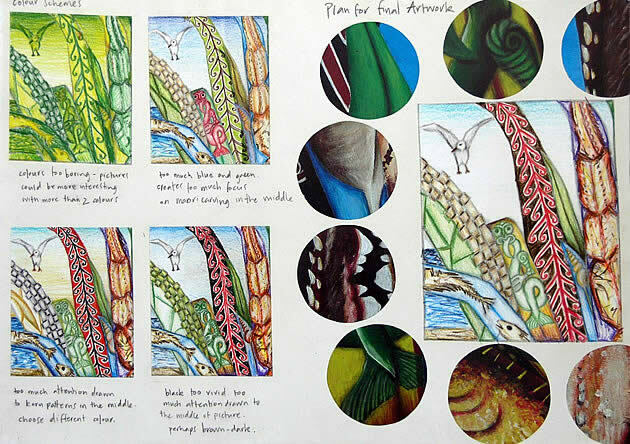 Ensure your final piece clearly links with your sketchbook work. 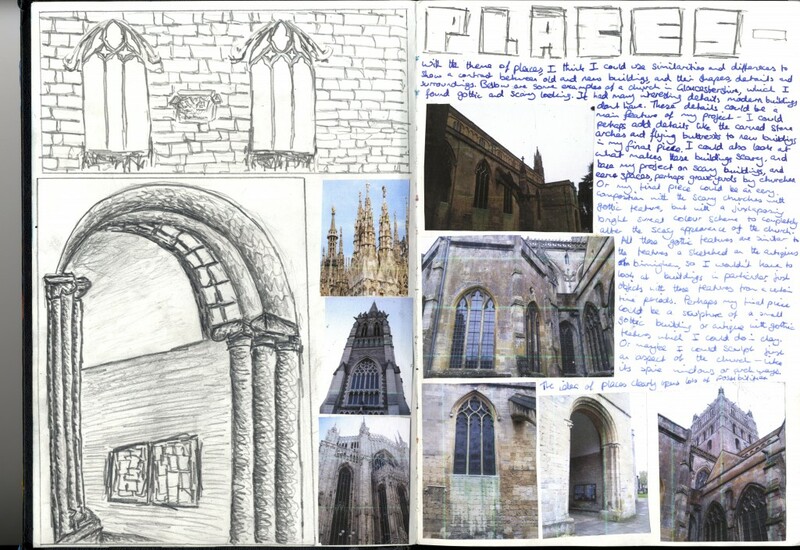 Ensure your final piece links clearly with your artist research within your sketchbook. Be ambitious, but choose materials and techniques that you feel particularly confident using. This is not the time for radical experimentation. Plan the 10 hours well as the time will race by. Some students find it useful to write down a time plan, showing how they intend to complete the work hour by hour. Carefully consider the scale of the work to make sure you can complete a quality piece of work within the allotted time. 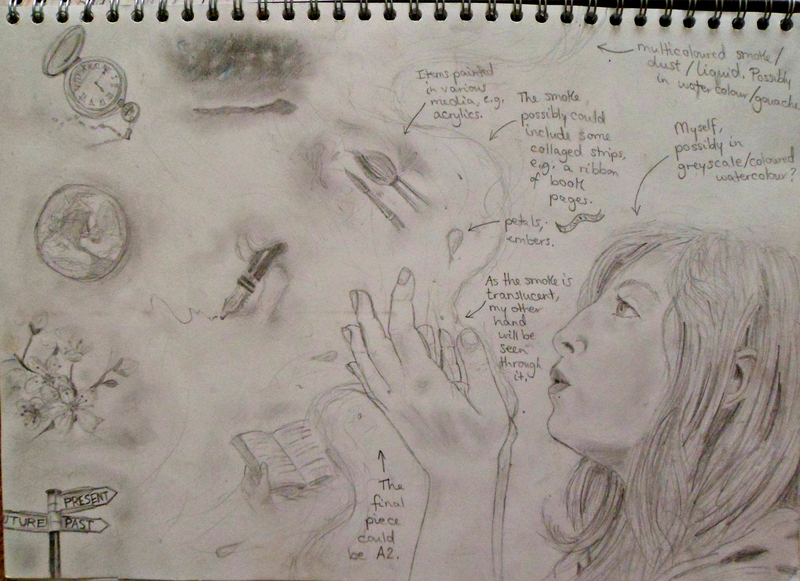 Mind map your ideas in your sketchbook then experiment with composition and colour scheme. Make notes explaining how you have been inspired by your ongoing artist research. Make links between your work and the artists, for example; will you use the same colour scheme/techniques/brush strokes as your artist?